Sensory Processing refers to how the brain receives and responds to the information that comes in through the senses. 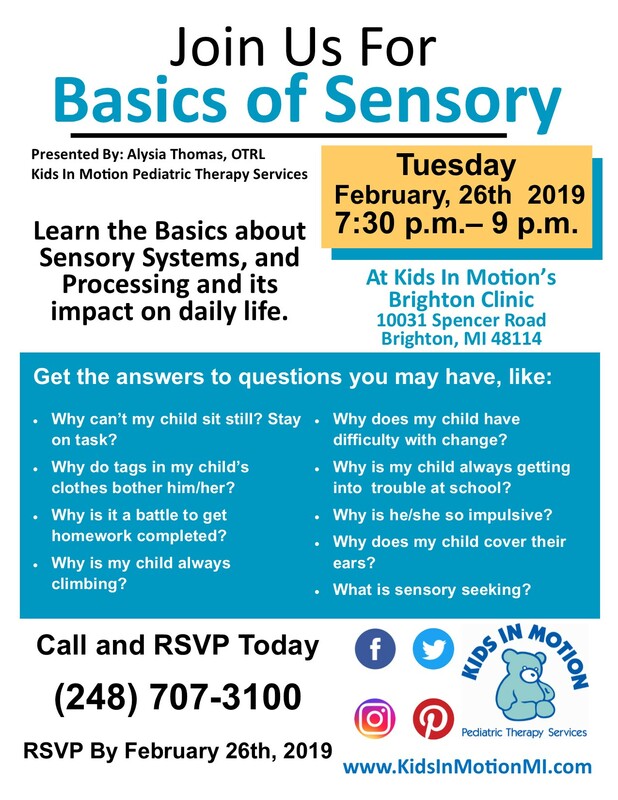 We will be starting our Free Sensory Series workshops in February that will cover the basics of sensory, what a sensory diet is and the differences between sensory and behavior. impact on daily life in this upcoming workshop. Why can’t my child sit still? Stay on task? Why do tags in my child’s clothes bother him/her? Why is it a battle to get homework completed? 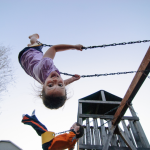 Why is my child always climbing? Why does my child have difficulty with change? Why is my child always getting into trouble at school? Why is he/she so impulsive? Why does my child cover their ears?